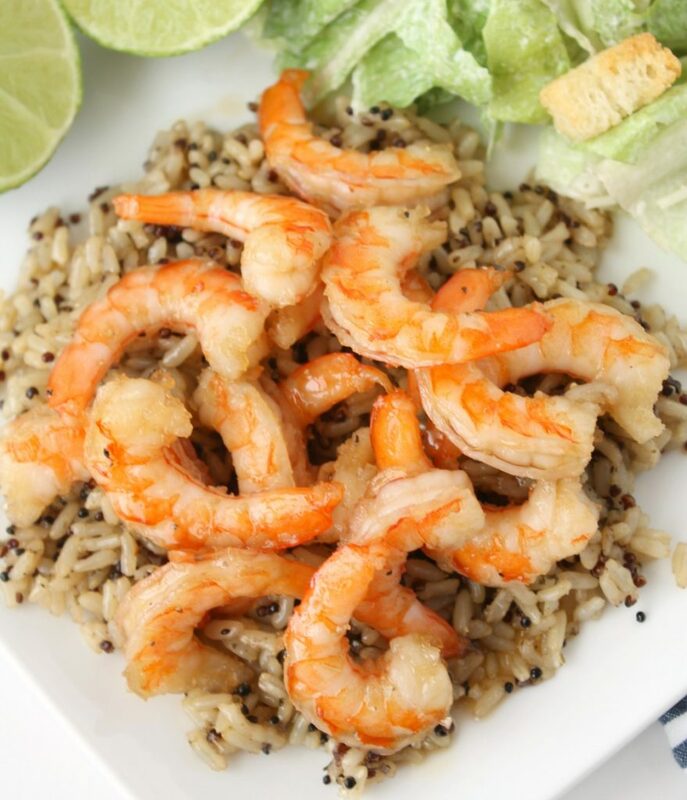 This is one of my all time favorite shrimp recipes! I’m a huge seafood fan, and when I can make delicious tasting seafood at home, I feel so accomplished. This recipe is delicious and makes enough for dinner, and lunch the next day! 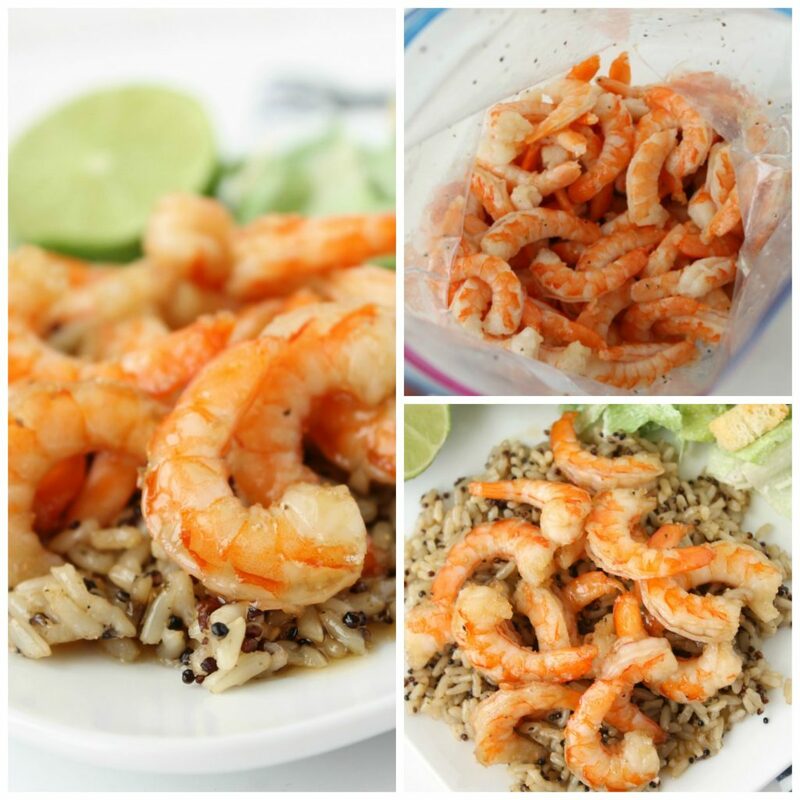 Delicious shrimp recipe. Perfect to add to salads, or serve with rice for dinner! In a bowl mix together olive oil, honey, the zest of the lime, the juice of the lime, garlic, pepper, and salt. Rinse off your shrimp. This is to be sure all of the ice is melted, and to give it a good rinse after coming from the deli. Best if you rinse with cold/warm water rather than hot, especially if working with uncooked shrimp, to avoid the shrimp beginning to cook while being rinsed. Put shrimp in gallon sized Ziploc bag and dump marinade over the shrimp. Make sure the marinade is completely coating all of the shrimp and seal the bag and put it in the fridge. Let it marinade for 1-2 hours, the longer you let it marinade the better the flavor! On a frying pan over medium heat, warm up the shrimp. I like to pour the marinade over the shrimp while it's heating up so that it can cook in the flavor. Cook until the shrimp begins to turn golden brown. This reciep is greate, thanks I love shrimps and maked like this is yummy! Sounds delicious. Can you also use this recipe as a marinade for serving cold shrimp at a cocktail party? Can you marinate the shrimp overnight? The longer you marinate the shrimp, the better. Overnight will be great with more delicious flavor!